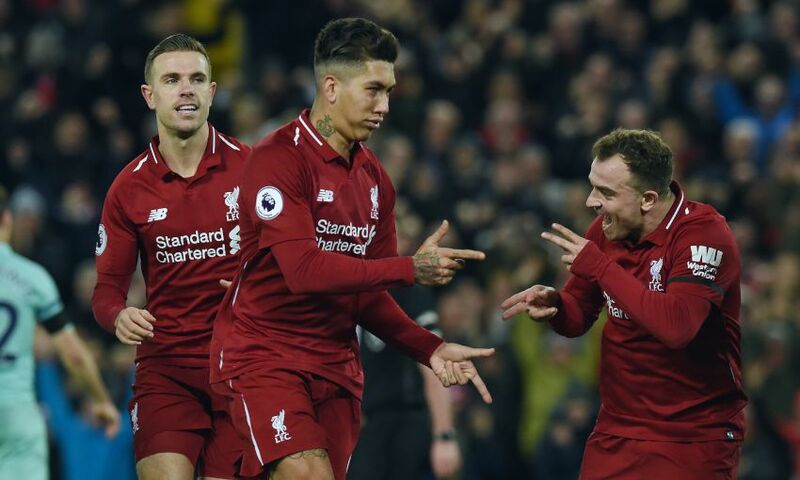 Roberto Firmino's hat-trick against Arsenal was a deserved reward for the Liverpool No.9's performance, according to Xherdan Shaqiri. The Brazil international ended his eight-month wait for a Premier League goal at Anfield in the most emphatic fashion on Saturday evening. Firmino scored twice in 90 seconds after Ainsley Maitland-Niles put the Gunners ahead and later – following strikes by Sadio Mane and Mohamed Salah – added his third and the Reds’ fifth in the second half. “It was fully deserved. He had a very good game,” Shaqiri told Liverpoolfc.com post-match. The victory lifted Liverpool nine points clear at the top of the Premier League as Jürgen Klopp’s side increased their unbeaten start to 20 matches. Next up is a massive meeting with Manchester City on Thursday night – and Shaqiri insisted the Reds have to block out any external noise to retain their momentum. “Expectations are always high,” said the Switzerland international. “But we want to stay focused, we have to stay focused and work hard every day. There’s a long way to go. At the moment we’re really happy and I hope we can keep going like this. On his own form, Shaqiri added: “You can see on the pitch I have a lot of confidence at the moment.